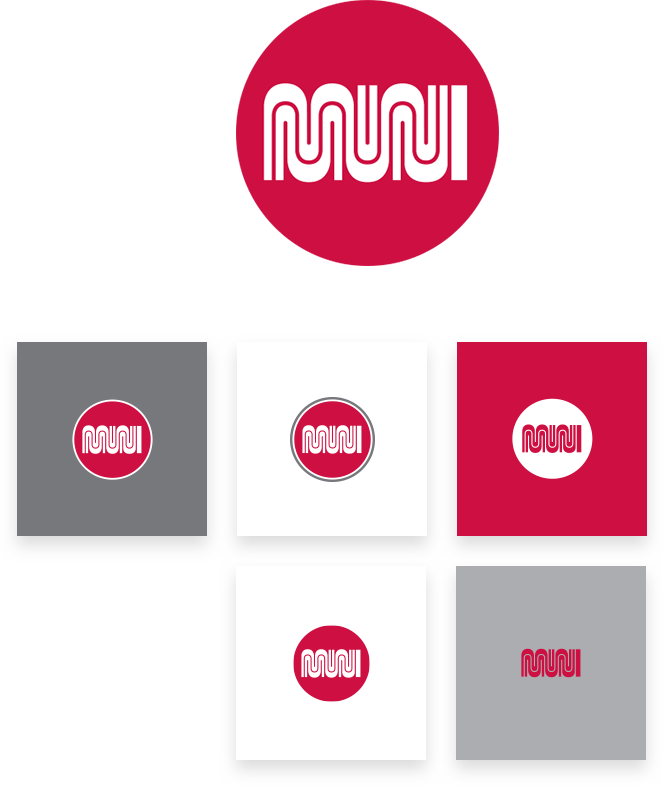 Muni had a unique need to re-brand itself while at the same time holding onto the core icon – an icon that the entire region had come to recognize for the previous ninety years. This branding project took advantage of a new rail line inauguration, the T-Third Street, to publicly reveal a reframed and modernized brand. Paying tribute to a 90-year history by reframing it into a modern brand. Before our effort to reframe Muni’s identity, the colors orange and brown stood at the core of the brand and one could not help but feel the entire agency was stuck in the 1970’s. Through our reframing process, we brought this agency into the modern age via new bus stop signage, an entirely new wayfinding system throughout the Metro subway, creating an entirely new website from the ground up, and creating an extensive corporate style guide to direct all public communications and design. A timeless icon within a new frame and color scheme to carry it into the future for decades to come. Sometimes re-branding is not about creating an entirely new logo, it’s about creating a new framework where the existing logo can truly shine. Not many people wanted to change the timeless Muni logo, but almost everyone agreed that the old colors, signage system and framework were in a desperate need of a facelift. With a new color scheme, font family and style guide, the Muni identity became a fresh brand spread across the Bay Area with eye-catching metallic silver and reflective red, and set of branded colors for each metro line, including the new T-third Street. The legions of print collateral, marketing materials, and public communications that Muni had created over the past 90 years seemed as endless as it was varied. Our first step was creating a new style guide, and then attacking everything that was currently in circulation. Given that we were changing everything from vehicle decals to business card this was a herculean effort to say the least!